and flexibility for everyday spend. A Prepaid Mastercard is not a credit card, you can only spend the allocated funds that has been loaded onto the card. It can be used anywhere Mastercard is accepted-25 million stores worldwide and online. The ultimate choice and flexibility for everyday spend. They are the trusted alternative to cash and cheques; and this versatile option has a number of benefits in the corporate world. What makes prepaid cards unique is their outstanding design. Whether you wish your card to display your corporate logo or simply one of our generic designs, we leave you with the freedom of choice. Mastercard Card comes both single loaded and reloadable, so it’s up to you to decide whether you would like to use them only until the balance is spent or keep recharging them. A Prepaid Mastercard is not a credit card,you can only spend the allocated funds that has been loaded onto the card. Various choice of cards such as singleload cards (a disposable Prepaid Mastercard which can only be used until the balance is spent) or a reloadable Mastercard card (which can be topped up over and over again). Our clients use gift cards for cashbacks, rewards, corporate gifts and other thank you gestures; for example, rewarding existing customers for referring new customers, or signing up to a particular service. In addition, they can be used as prizes or incentives for employees, resellers and survey respondents. Allocate business expenditures like sales incentives, employees benefits and corporate gifts. WHY COMPANIES PREFER PREPAID GIFT CARDS? The Mastercard, Visa or eftpos Gift Card and your brand becomes a billboard in their wallet. for you. No bank fees. Twice as popular as cash and store cards and four time more popular then merchandise. Can buy whatever from whomever and whenever. No unwanted gifts. Cash gets absorbs into general funds. Every time Mastercard, Visa or eftpos Gift Cards are used, recipient is reminded that you gave them this reward – cash disappears into general funds. HOW OTHER COMPANIES ARE USING MASTERCARD ? Using cheques for cashbacks was limiting and costly. There were no branding or cross selling opportunities. We provided an easy-to-implement client-branded Mastercard Prepaid Gift Card. Q. 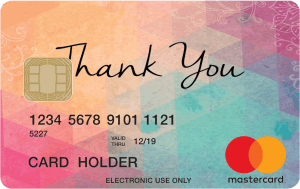 How does the Corporate Prepaid Cards Work? The Corporate Prepaid Cards is a prepaid or stored-value card that carries a certain amount of spending power. Each time the card is used to make a purchase, the purchase amount is deducted from the card’s available balance. Singleload cards cannot be reloaded with more spending power. Q. How do I activate a card? why do I have to do this? 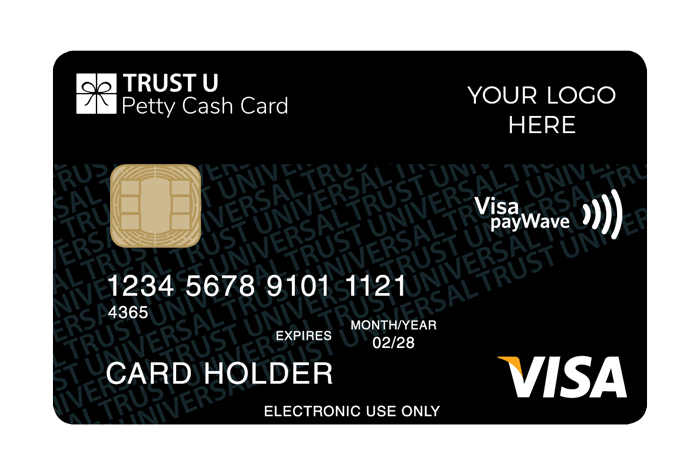 Once you have received the card, please visit www.universalgiftcard.com.au or phone the number shown on the card to confirm you possess the card legitimately – by entering your 4 digit authentication code – generally your date of birth. This is a necessary security step – the same as banks do when dispatching credit or debit cards through the post. Q. Does the card have an expiry date? Yes. It will expire at the end of the month shown on the front of the card. This means that most cards have a life of about 12 months. Whatever value is left on the card after its expiry will not be available to you. We encourage you to use your card before it expires. Q. What should I do if my card is lost or stolen or damaged? Phone 1800 174 239 immediately to report a stolen card, so we can stop any subsequent transactions from being authorised. If the balance on the card exceeds $15 at the time you report its loss, you may order a replacement card, which will be loaded with the balance of the lost / stolen / damaged card at the time its loss was reported, less an administration fee of $15. Q. Where can the card be used? where is it not accepted? Corporate Prepaid Cardss can be spent in about 500,000 stores in Australia or 25 million stores overseas or for internet purchases — wherever Visa Prepaid Cards are accepted, provided the merchant can process it electronically. Q. Are there any transactions for which the card cannot be used? The card can not be used for mail or telephone orders, and we suggest it not be used at automated fuel bowsers. Q. Are there any fees for using the card or checking the balance? Q. Can I use the card to get cash from an ATM? Q. What if the value of the purchase I want to make is greater than the value / balance on the card? Q. Why might a proposed transaction using Corporate Prepaid Cards be declined? Q. How can I check the balance – the value left on the card? By visiting www.universalgiftcard.com.au or by phoning the number shown on the card. Merchants can not do a balance enquiry through their point-of-sale system. Q. Can I see a list of purchase transaction made with the card? Yes – by visiting www.universalgiftcard.com.au. Q. Are there any fees for using the card or checking its balance or transaction? There are no fees for using your card. Visiting the web site is free – to check your card balance or transactions or for any other purpose. Reporting a lost / stolen card is free, but other phone calls will generally attract a small fee – but you will be advised of that fee and given the chance to hang up before any amount is charged to your card balance. Reloadable cards have a nominal monthly fee, but this is usually paid by our corporate clients, not each cardholder. Q. Do I have to remember a PIN? No. Your card does not have a PIN. But to check your card balance or transaction history, you will need to enter your 4 digit authentication code, generally the dd mm part of your date of birth. Yes. You will need to enter your PIN when making purchases. (Your PIN is NOT the same as your 4 digit authorisation code for logging into our website.) You can reset your PIN on our website at any time. Q. What happens if I need to return an item to the merchant? Q. What are the terms and conditions of using Corporate Prepaid Cardss? Like all payment cards, prepaid cards should be safeguarded, treated like cash. However Corporate Prepaid Cardss are more secure than cash, because your signature (or a PIN for reloadable cards) is required for a purchase. And if your card is lost or stolen, you can report its loss so it can be disabled and replaced, unlike many store cards. We adhere to the National Privacy Principles. We will not disclose your personal details to anyone except for the purpose of operating these prepaid card programs, or as required by law. All data transmitted via the internet is encrypted.